Hide this Project (Shri Balaji Enclave) Discover properties in other projects by hiding the ones that doesn't interest you. You won't see them in your searches further but you can unhide anytime later. Hide this Dealer (jaimin pandya) Discover properties by other dealers by hiding those whom you have already spoken to. You won't see them in your searches further but you can unhide anytime later. Hide this Dealer (vasani) Discover properties by other dealers by hiding those whom you have already spoken to. You won't see them in your searches further but you can unhide anytime later. Shri Balaji Enclave is a residential project developed by Shri Balaji Developers. 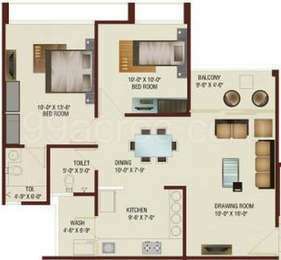 The project offers very well designed residential 2BHK apartments. The project is well connected by various modes of transportation. The site is in close proximity to various civic utilities. What is available flat size in Shri Balaji Enclave? Flat sizes in the project range from 1125.0 sqft to 1332.0 sqft. How much is area of 2bhk in Shri Balaji Enclave? 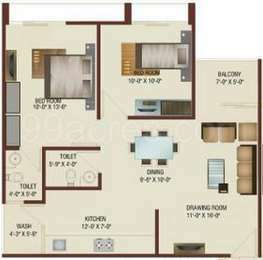 Two-room units (2BHK) in the project are available in an area of 1125.0 sqft to 1332.0 sqft. What is total price of 2 bhk in Shri Balaji Enclave? The price of 2 BHK units in the project ranges from Rs. 3000000 to Rs. 3100000. What is the price of apartments in Shri Balaji Enclave? The units available in the project are priced at Rs. 3000000 to Rs. 3100000. How many number of towers are there in Shri Balaji Enclave? With 10 tower, the project offers 200 housing units. I want o explore Naroda in Ahmadabad as an investment destination. 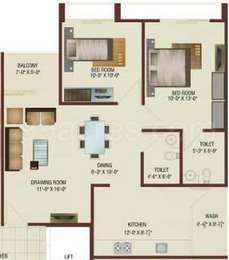 Is it good to buy flats with Shri Balaji Enclave project. How much appreciation can we expect in 2-3 years? Thanks , how about the amenities and specifications available. As I am looking for something classy and of good quality. Shri Balaji Enclave is located in Behind Swaminarayan Temple, Opp. Shri Ram Vatika, Near Haridarshan Cross road, New Naroda, Ahmedabad, Gujarat, India. Living up to our customers expectations, Shri balaji developers is working with a vision to set new benchmarks in the field of infrastructure development through innovation, attention to precision and environmental awareness.